In 1974, Congress passed the Safe Drinking Water Act (SDWA) to create a standard of quality for public water systems and protect citizens from waterborne disease. Faced with the costs of drinking water filtration infrastructure and upkeep, New York City officials chose to instead adopt a watershed management program to meet the standards set by the SDWA. By partnering with landowners in the New York City watershed to conserve land and protect against overdevelopment, the City is able to maintain the water filtration services the ecosystem can provide and in return provide resources, support and payments for these services. Since the adoption of a watershed management program, New York City has its upstate neighbors to thank for their pristine drinking water. 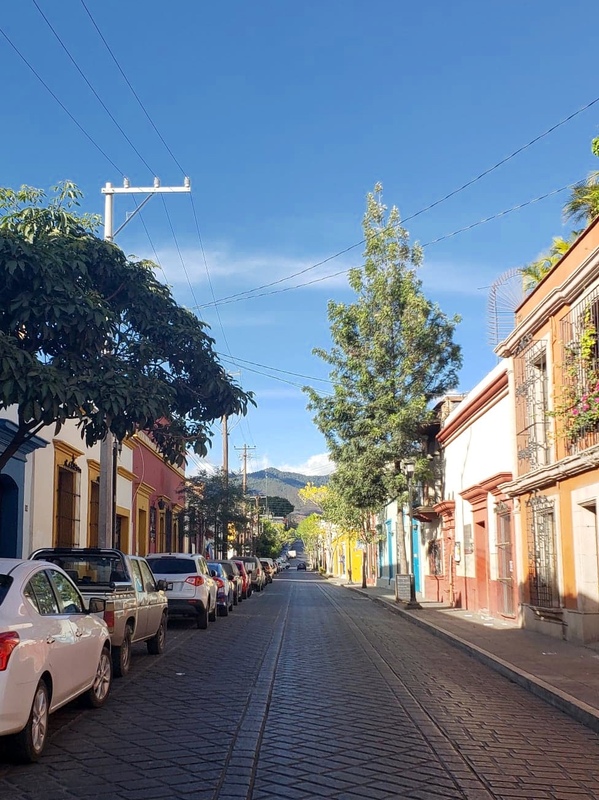 During Bard’s J-Term trip to Oaxaca City, I was surprised to find how applicable New York City’s watershed management program could be for the Southern Mexican city almost three thousand miles away. The tap water in Oaxaca City is not potable, and an unsustainable system of plastic bottles and water trucks supply businesses, residents, and the growing number of tourists with potable water. Throughout the trip, it felt as though we were never too far from a plastic water bottle. We saw countless water trucks driving around the city, and frequently had to step over rubber hoses on the sidewalk that lead into people’s front doors. During our field trips throughout the city and the surrounding areas, it seemed that every single home had a giant water vat on its roof, ready to be filled with potable water. Mountains around Oaxaca City, featuring a rooftop water vat. 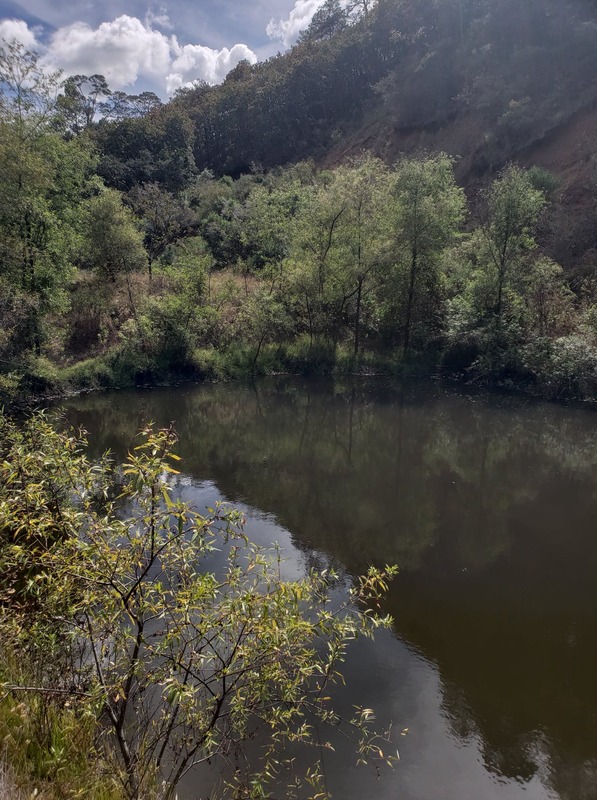 We soon learned that the waters that contribute to the Atoyac and the Salado Rivers that run through Oaxaca City are quickly polluted when they reach developed areas. Garbage, human sewage, and fertilizer run-off were just some of the culprits. So, despite the surrounding green mountains that make up part of its watershed, the water that reaches the city is no longer potable. We even learned that sometimes private companies would tap into wells and springs upstream (before the water reaches polluters), just to sell further downstream. In our meetings with Emmanuel Ramirez Santiago, Director of the River Atoyac and Salado Watershed Commission (CCRAYS), and Pablo Ubaldo Gutierrez, Director of the Technical Commission for Subterranean Waters of the Central Valleys (COTAS), we learned of local efforts to maintain the integrity of the ecosystem surrounding the watershed (even at the micro-level). Similar to New York City’s Watershed Agricultural Council (WAC), CCRAYS and COTAS work to identify communities interested in adopting methods to conserve their land. Depending on needs and interests, methods can include constructing dry bathrooms, adopting organic farming practices, helping efforts for reforestation, and replanting grasses to act as bio-filters. Unlike New York City’s watershed management program, the indigenous and rural communities in Oaxaca do not receive any of the financial help or benefits that WAC provides to upstate landowners. The efforts of CCRAYS and COTAS to network communities within the watershed and fund conservation methods are unfortunately unsupported. This financial limitation means only 2,500 people across several communities benefited from CCRAYS and COTAS, despite the potential for their work and their methods to benefit the whole of Oaxaca City. McCall, M. K., Bermudez, R., & Granados, J. ‘Signing up to PES’-Why communities participate in PES programmes in Mexico. Pires, M. (2004). Watershed protection for a world city: the case of New York. Land Use Policy, 21(2), 161-175.